Repellents can help protect particular areas of your yard or valuable plants. The two most common types of repellents are contact (taste) repellents and area (odor) repellents. 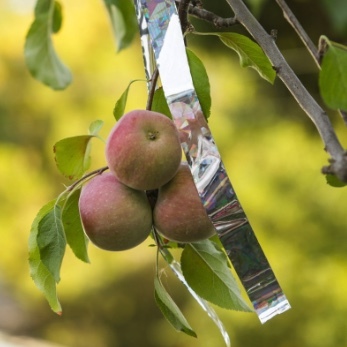 The effectiveness of contact repellents is increased if you use them only on selected plants in your landscape, leaving other food sources available. Be sure to read and follow the product labels because many contact repellents are regulated as pesticides. Area repellents are typically not as effective, but may be useful in some situations. Do not use home remedies such as mothballs as these can pose a threat to children or pets. The Wildlife Identification pages provide information about repellents for specific species. Frightening devices typically use sight or sound to scare animals or birds from an area. 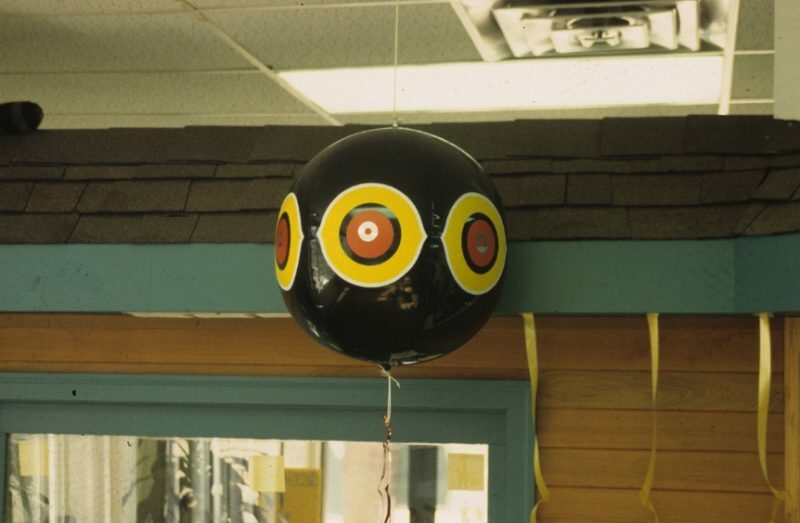 Examples include pyrotechnics, gas exploders, guard animals, strobe lights, helium filled balloons with eyespots, owl kites, reflective objects like Mylar® tape, and distress calls. These devices are typically not long-term solutions. Some techniques may work on particular animals or for short periods of time, but once the animal figures out that it does not pose a threat the device will no longer be effective. To improve the effectiveness of these products try regularly moving visual or sound devices to different locations. Effectiveness can also be improved by using multiple devices or techniques.